This week's Cute! Roundup features Gertie making friends with a dinosaur. 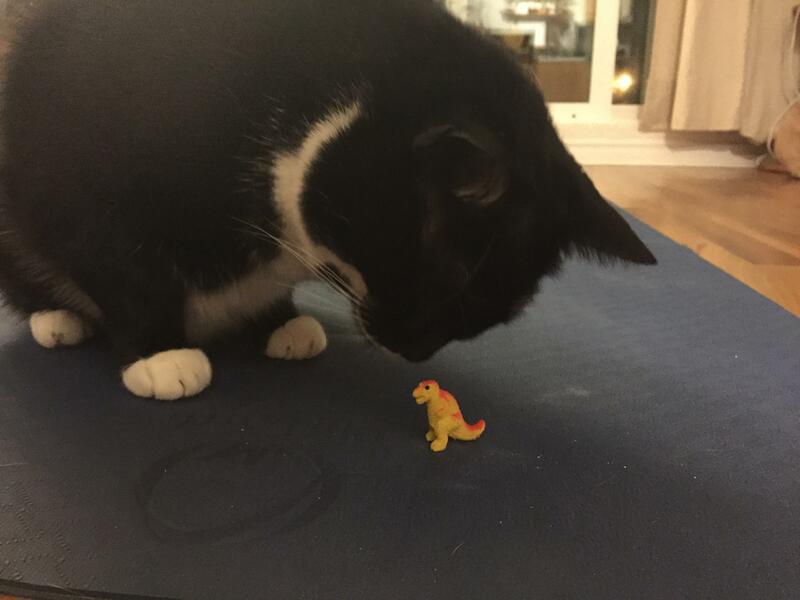 Now... get ready for a puke-in-your-mouth couple thing: my fellah and I call ourselves DinoKitty because he loves dinosaurs and I love cats, and so this picture is basically the real-life representation of our grossness. Someone put googly eyes on this cuttlefish! Guys... kitty anxiety is a THING! Should we put them on Paxil? The adorable Channel Island foxes are no longer endangered!